Let Dwayne Johnson Trash A Nissan: 5 Super Bowl Commercials We’d Love To Watch 0 out of 5 based on 0 ratings. 0 user reviews. 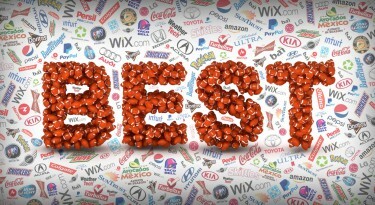 While the NFL playoff picture is gradually taking shape and the coveted Vince Lombardi Trophy gets increasingly more real (well, for Tom Brady, at least), brands around the world are gearing up for advertising’s biggest night – the Super Bowl. Some old and trusted players have already bought spots – Honda, Doritos, Pepsi and the unavoidable but always entertaining Anheuser-Busch brands among them. First-timers this year include LG, PayPal and Colgate and some second-year advertisers have also announced they’ll be re-joining the festivities. Among these sophomore advertisers, website builder Wix.com, which debuted last year with the #ItsThatEasy Super Bowl campaign, has already released some information about its plans this year. For their Super Bowl 2016 ad, Wix has partnered with DreamWorks to create an animated spot. The ad will feature pandas Po and MeiMei in a multi-format campaign that has two goals: to promote the upcoming release of DreamWorks’ Kung Fu Panda 3 and to highlight Wix.com as a user-friendly and powerful online platform for small businesses. The idea of a partnership between brands seeking to creatively promote two different products is not new, of course. Sadly, however, it doesn’t happen enough during those Super Bowl commercial breaks. Inspired by the announcement of the Wix-DreamWorks partnership, we’ve thought of five more collaborations we’d just love to see. 340 cars were used in the last (and some say, the best) film of this magnificent franchise. Furious 7, according to The Telegraph, entailed the trashing of no less than 230 of them. That’s what you get when you go for real stunts, instead of CGI-driven action. And that’s great. We’d like to see even more cars get trashed in Furious 8. 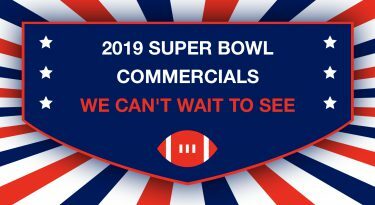 But for the purposes of a Super Bowl ad, we do realize that Nissan, Honda, Audi, Chevrolet, Mercedes-Benz – or any other regular Super Bowl advertiser from the automotive industry – actually want to sell cars, not portray them as unsafe vehicles of destruction and mayhem. This still leaves ad agencies with a whole lot of options and a great cast of potential drivers to take the wheel. Give Ludacris a Jeep Wrangler, put Jason Statham in a Maserati, let Michelle Rodriguez run wild in a Dodge Challenger. Put the newly-added awesome Kurt Russell in an Acura – we already know Honda’s bought a spot for its NSX supercar. These people have driven cars off cliffs and into buildings before – so they probably know how to navigate in a quiet suburban neighborhood or through a rainy forest – in other words, the types of scenery that automakers like best in Super Bowl commercials. Add a ridiculous dialogue and a surprising knack for emotionally-moving final scenes – and you’ve got yourself a Super Bowl ad. Anheuser-Busch is again springing again for Budweiser and Bud Light spots, but this year, it will also debut its Shock Top wheat beer on the Big Game stage. In their website, Anheuser-Busch describe Shock Top as “a spiced Belgian-style wheat ale with real orange, lemon and lime peels” – which sounds, well, cloudy. We’re counting on the creative agency to make a splash with this one and as details are scarce, we can only dream of a gutsy splash. Imagine Rick & co. back in the relatively safe haven of Alexandria, weary from another fulfilling day of slashing zombies. They’ve just weeded out yet another weak and naïve Alexandria native, and all they want now is a cold, refreshing beer. 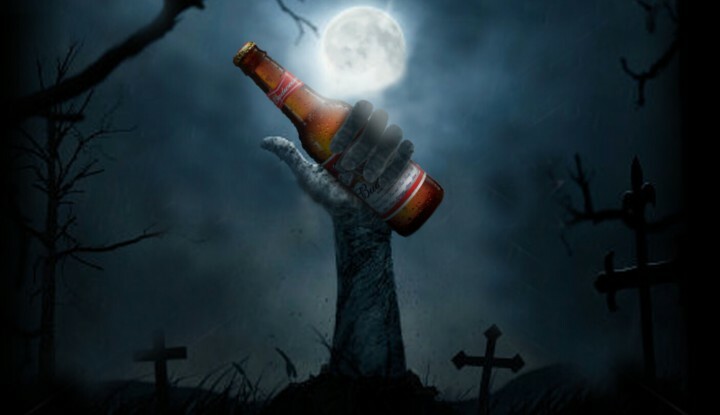 They’re sitting on Michonne’s porch, relatively relaxed (crossbow and swords not far away, though, this is still an apocalypse) and pop open a Shock Top bottle. They even let Creepy Carl have his first seep of beer. He deserves it, after killing all those zombies. And his mother. Avocados from Mexico made its Super Bowl debut last year with the “First Draft Ever” commercial, featuring Former NFL players Doug Flutie and Jerry Rice. They’ve already bought a spot for Super Bowl 50, although the creative is yet unknown. Now, we’d like to help with that. Want to sell more avocados? Just pair the snack with the Big Bang Theory’s merry gang of geeks. Season 8 was watched by 19 million viewers, according to Deadline Hollywood and that’s just in the US. According to Digital Spy and other sources, the CBS sitcom is the highest-rated show on US television since its launch in 2007 and is broadcast in more than 70 countries around the world. Global recognizability, however, is just one factor. These guys – and gals, as they’re often called in the show – can’t seem to stop eating. Countless opening sequences include huge trays of pizza, Chinese, Thai and breakfast food. And they seem to be eating everywhere – at home, at the University’s cafeteria and then lunch and dinner at Penny’s restaurant. They eat and they talk science crap (very intelligent crap, actually), and then they go on eating. In other words, Avocados from Mexico could do a lot worse than letting Sheldon, Leonard, Howard and Rajesh eat some guacamole and talk about how avocados relate to string theory and Star Trek. South-Korean giant LG is making its Super Bowl debut this year to promote its flat screened, curved OLED (“organic light-emitting diodes”) TV technology. Right now, all anybody knows about that 60-second spot is that it will be produced by Ridley Scott’s RSA Films production company and directed by Scott’s son Jake. Scott Senior is responsible for some blockbuster movies, from Alien to The Martian, but he also has some pretty good experience as the architect of what was probably the best Super Bowl ad in history – the 1984 commercial for Macintosh. Modern Family has already proven it can do great things with technology. Its “Connection Lost” episode (currently holding a 9.4 score on IMDB) from February 25 was brilliant. The entire episode was filmed on iPhones and other Apple devices, following all the characters as they interact in the virtual world. Now give that smart, experienced writing staff room to play with something like flat, curved, new TV technology, put Scott Jr. at the helm, and you’ve got yourself a potential Super Bowl winner. 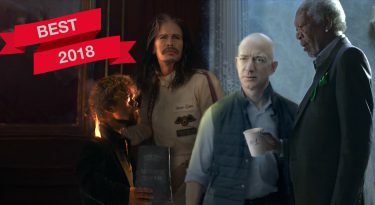 PayPal will make its first Super Bowl appearance in February with a 45-second spot during the 1st quarter of the game, that focuses on introducing PayPal’s vision “for the future of money.” A bit cagey, but it does leave a whole lot of room for interpretation and for that, we are thankful. James Bond is a natural fit for PayPal. He may let his movies run for a bit too long, but just give Daniel Craig and the folks at Columbia Pictures 45 seconds and we’re pretty sure we’ll get Bond on a train, on a plane, on a motorcycle and in three different continents while he tries to save “the future of money.” Let the guy save the future of money, please!